but I am really into accent fingers these days. Pretty! 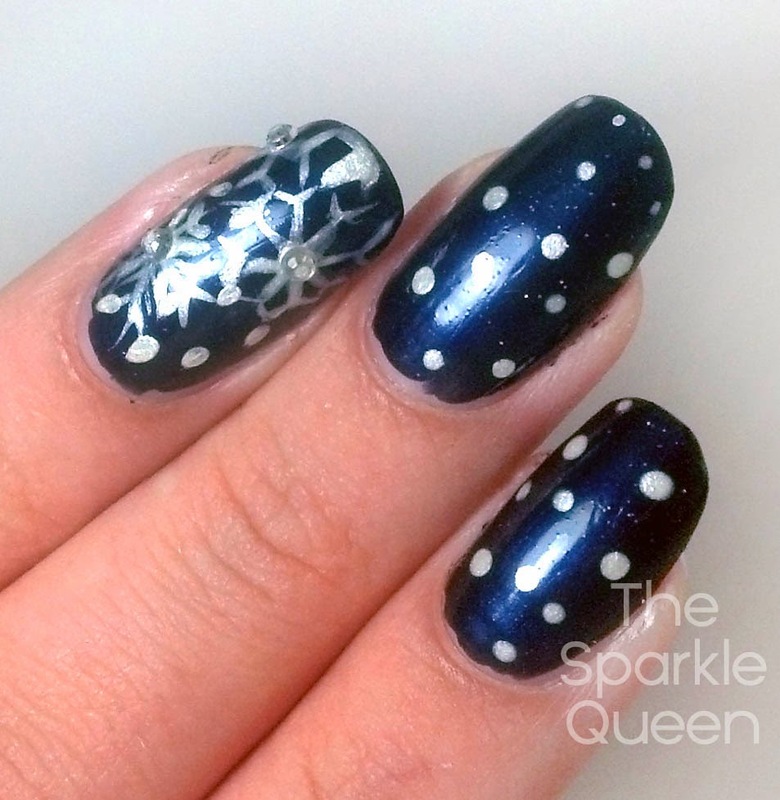 I love the combination of deep blue and pearly white! 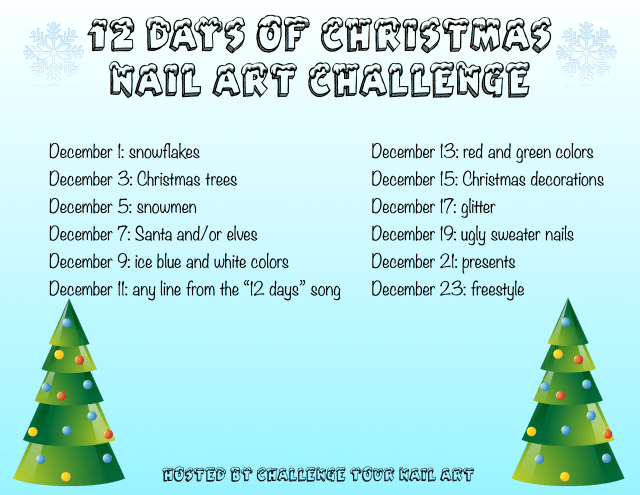 Love the dark background, thinking of using one for the snowman prompt! Once I discovered the accent nail I never went back. My manicure doesn't seem complete without one. Great job free handing that snowflake, it's beautiful. 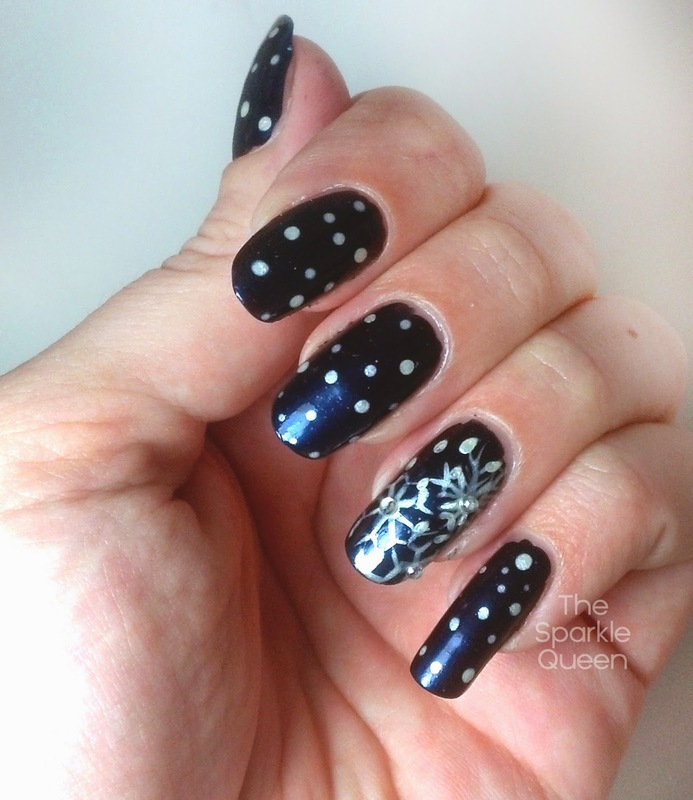 Your nails look great, and I luuuurve that dark blue base with the white snow!